While there are endless books on being young, there are precious few on how to embrace the ageing process. We dont think were old until suddenly we cant do something that until now has never been a problem. We dont feel were old because our habits and reactions were formed when we were younger, and as they served us well we see no reason to change them. 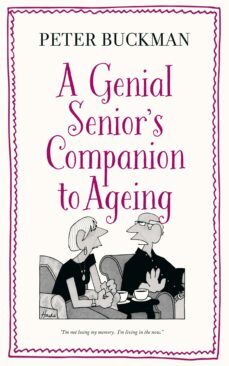 But growing older inevitably brings new challenges and The Genial Seniors A-Z of Ageing is here to help anyone face the later years of their life with a refreshing, reassuring and humorous approach. A is for age, ailments and ambition; L for lists, loneliness and luck; T is for technology and tolerance: The Genial Seniors A-Z of Ageing is the perfect gift for anyone approaching the later years of their life.